I assume you meant to also say add the olive oil to the chopped herbs in step 3. I cooked this when you came out with the recipe the first time in May 2015 and look forward to doing it again – it’s outstanding! I’ve enjoyed this dish so often in Italy, especially in Abruzzo. Now that grilling season is here, I look forward to trying this delicious recipe. Abruzzo is the land of wonderful lamb dishes. This is so simple, little clean up and a crowd pleasure. Thank you for commenting Linda. Finger-licking good, I never thought of them in these terms but you are absolutely correct! The skillet is perfect for preparing Scotta Dito, but the grill leaves the kitchen spotless. I must try this, it looks utterly delicious and perfect for barbecue season!! 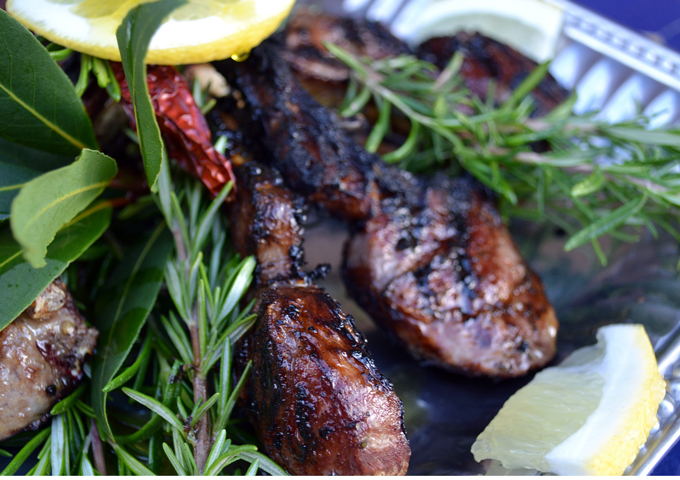 Definitely one of my favourite cuts of meat…lovely recipe Paula!